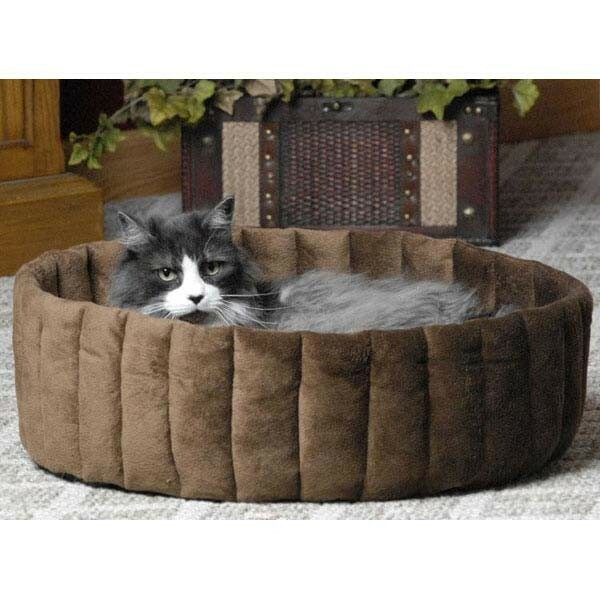 K&H Pet Products Kitty Kup Bed Large Tan / Mocha 20" x 20" x 7"
This cozy bed is for the pets that love to curl up in a ball and feel secure with walls around their body. 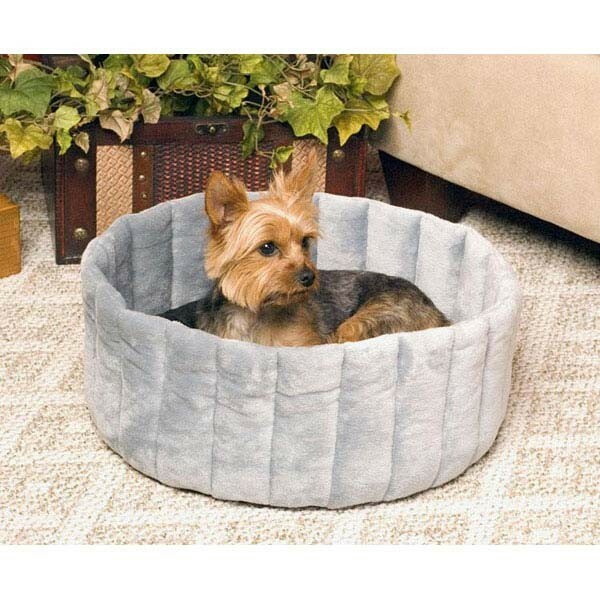 The entire bed is made from soft, luxurious microfleece. 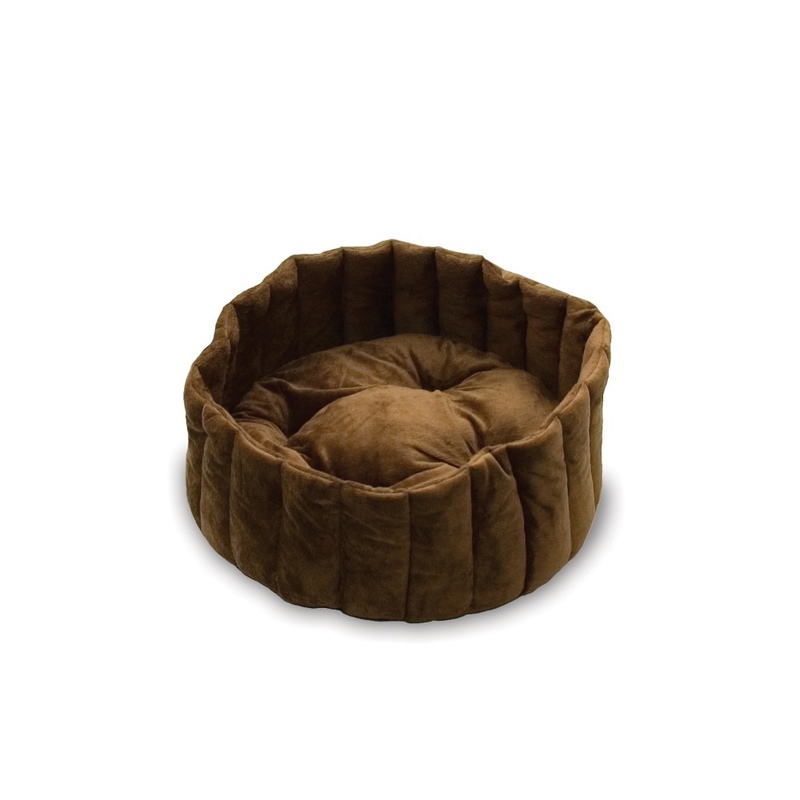 The pillow is removable and reversible to a contrasting and complimentary color. Completely machine washable for easy care. The bottom of the bed has a layer of "stay put" non-slip fabric for stability. Sleep Dimensions: 15.5" x 15.5"
Dimensions: 20" x 20" x 7"